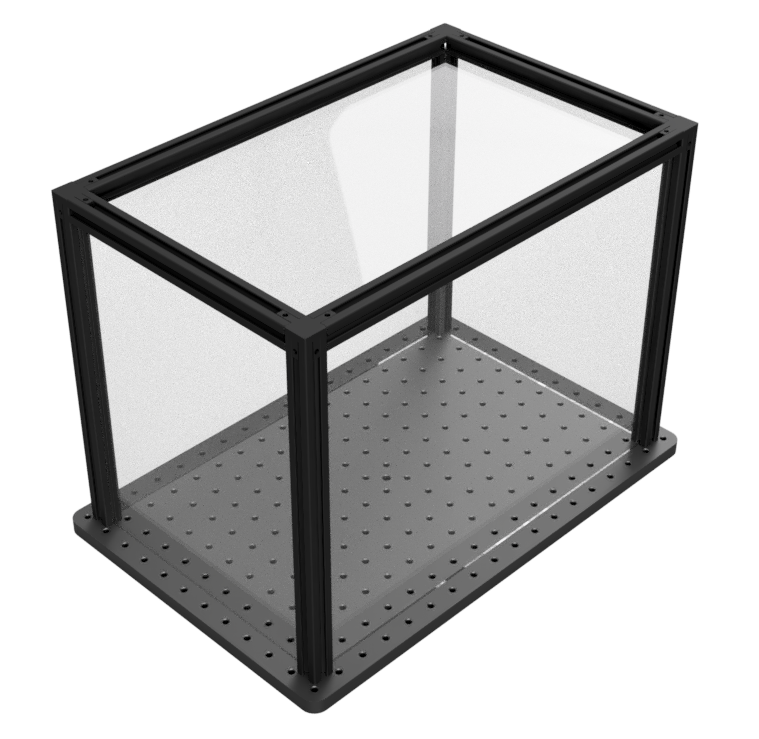 Optical enclosures with Plexiglas sides are ideal for experiments that need to be isolated, but are not light sensitive. Base Lab Tools uses our industry standard X2020 rail system to provide a high quality enclosure for your optical breadboard. Enclosures come partially assembled and flat packed and can be installed in place in minutes.